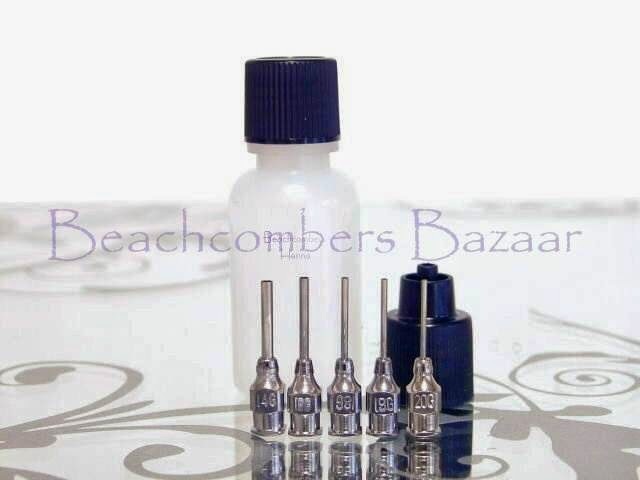 Super soft henna applicator bottles to buy online. You probably don't know about this, but I've been working for over a year to get new bottles made for our henna applicators. Like most things we offer, the search was due to customer requests for softer applicator bottles. I was looking for the softest henna bottles physically possible that can still hold up to the abuse of continuous use and henna essential oils. DONE! I've found someone to create custom bottles exclusively for Beachcombers that are hands-down the softest henna applicators available. Our new anti-fatigue applicator bottles are specially designed for henna artists, by a henna artist. What do extra soft anti-fatigue henna bottles mean to you? Less hand cramping and less waste! They can be used much longer without hand fatigue. You can also get further down before needing to refill the bottle with henna (even in the 1 ounce mehndi bottle). This means you will henna quicker and have less henna waste. I have bought henna bottles from every single henna supplier in the USA and I can personally guarantee that our 1/2 ounce AND 1 ounce anti-fatigue mehndi bottles are the softest available. In fact, the one ounce bottles are even softer than the 1/2 ounce bottles! They are like buttah! 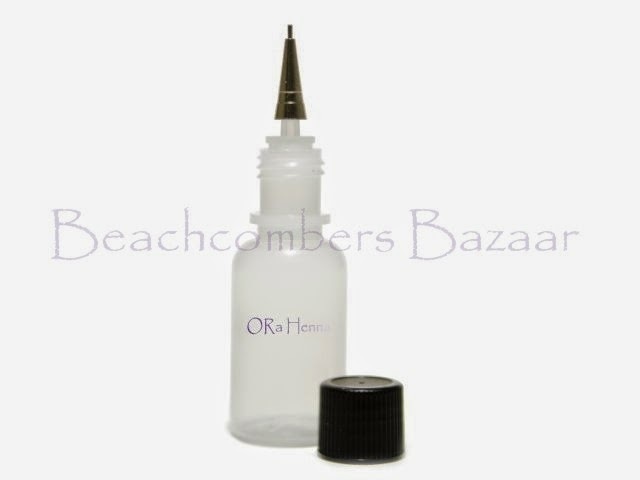 Anti-Fatigue henna bottles work with ORa Moroccan applicator tips. These bottles work with our ORa Moroccan tips but NOT with our Jac tips (Jaq tips). Anti-fatigue henna bottles do NOT work with Jac tips. Henna meets science...that's when great things happen! 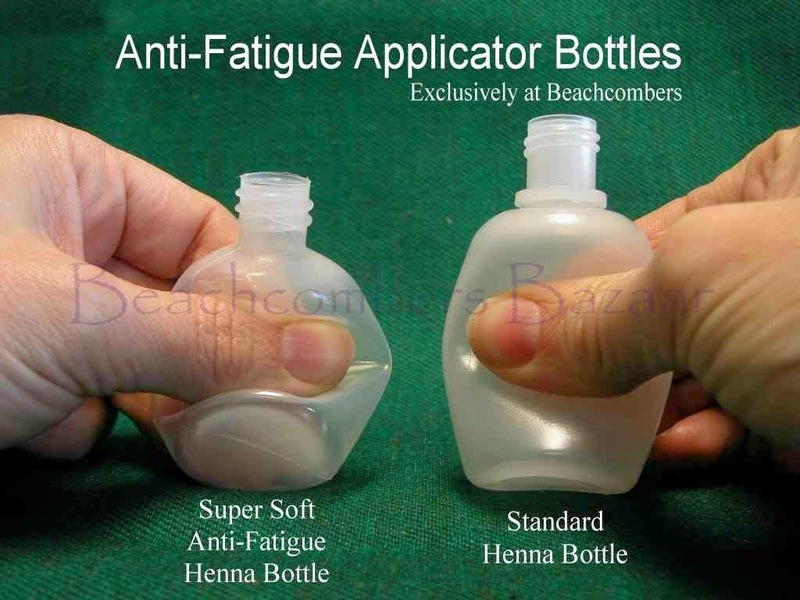 Extra soft Anti-Fatigue Henna Bottles are available ONLY from Beachcombers.